Oren Shibolet - professor, a famous practitioner hepatologist, backed by many years experience in the study and treatment of liver diseases of different etiology and severity. Specialty Doctor covers areas such as the liver damage caused by use of drugs, as well as fatty degeneration of the liver cells. After graduating in University of Jerusalem Oren Shibolet continued to improve his skills and develop practical skills in the Hadassah hospital, where he was passed specialization in gastroenterology. 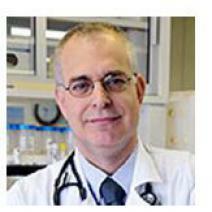 Today, the professor is a A leading specialist in the treatment of pathologies of the liver. In his medical practice, Dr. uses advanced diagnostic and treatment methods, as well as advanced safety preparations. Brilliant results Professor succeeded in the field of struggle with chronic viral hepatitis. Dr. Shibolet held practice and training in the United States, in Boston, Massachusetts at the Hospital, in the department of gastroenterology. The Association of Israeli doctors, gastroenterologists ;. «Paradoxical reactions Bartonella at the eye».